Enter your email address to receive your 30 Day Production Challenge welcome email and follow the instructions to complete your registration! Why did you sign up at Warp Academy? You’re deeply passionate about electronic music. You get that being a producer takes training, inspiration and the right tools. You’ve been producing for a bit – maybe longer than a bit – but you’re not yet getting the results you want. It’s a struggle to work on music every day and keep enough momentum to finish tracks. You want to share your music and get feedback from other producers with more experience. To support you in building the daily habit of making music. To give you access to the training and tools you need to succeed as a producer. To bring together a potent community of music makers to share the journey with. “How can we totally game-change how we’re serving our community with this mission?”The ideas that followed crystallized into what will undoubtedly be one of our most exhilarating opportunities we’ve ever offered you. Are You Ready to Push Yourself as a Producer? You and a group of other motivated, passionate, and dedicated artists will be given the opportunity to embark on a song writing journey like no other! Warp Academy is excited to announce our first ever Production Challenge. Warp Academy has joined forces with the infamous Black Octopus Sound to co-host this event. 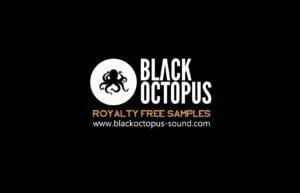 Black Octopus publishes some of the most cutting-edge, badass sample packs and synth patches in the industry. In addition to sponsoring epic prizes they’ll also be fuelling this Production Challenge with gigabytes of fresh samples and synth patches! You’ll have 30 days to write a song. Each day, you’ll get a small, hand-picked collection of samples and/or synth patches* for free. You can only use the samples & synth patches we give you. You won’t know what’s coming next, so you’ll push your creativity to the max using what’s available. In addition to samples & patches, we’ll be supporting you with new production tips, tools for Ableton Live, and special discounts on courses that’ll help propel you forwards. *Synth patches will be for XFer Serum & NI Massive. If you don’t own them you can grab the demo versions. You can also rent-to-own Serum from Splice for $9.99 per month here. Mark your calendars. Block off that space in your schedules. It’s time to make music together! You must use only the samples & synth patches we provide. Daily download sample packs are only available for 48 hours, no exceptions. We will not be providing samples beyond their expiry. You cannot share samples with other participants of the challenge. Submissions must be made on time, no exceptions or extensions under any circumstances. You may use any software you want (DAW, audio effect plugins etc.) to write your song. No electronic instruments like hardware drum machines or hardware synths. Collaboration is allowed. If you wish to form a partnership or team, that is 100% okay. We allow this because it’s how the real music industry works. Forming teams is a good thing. Max team size is 3 people. You (and/or your collaboration partners if applicable) must personally do all the production, sound design, mixing and mastering. You may record your own voice or an acoustic instrument you personally play, or a collaboration partners if they are also in the Challenge and you’ve decided to form a collaboration. You cannot hire our outsource other musicians, or producers, to work on the project with you. You cannot record foley samples or field recordings and use them in your song. The winners will submit their project files and grant Warp Academy the right to distribute the project files to other participants and members so everyone can learn from how the winning songs were made. Project files must be submitted according to these standards. Failure to submit the project file within 48 hours of being notified you are a winner will result in disqualification and selection of a new winner. We’ll keep the vibes high. When interacting with the judges and other participants, you’ll maintain a friendly, positive, respectful, professional manner. Failure to do so will result in disqualification. Can I record my own vocals? Can I load the samples into Traktor so I can scratch in effects and then load these scratch samples back in? No, unless we provide specific presets during the Challenge. Am I allowed to use drum and fx samples of my own? No. 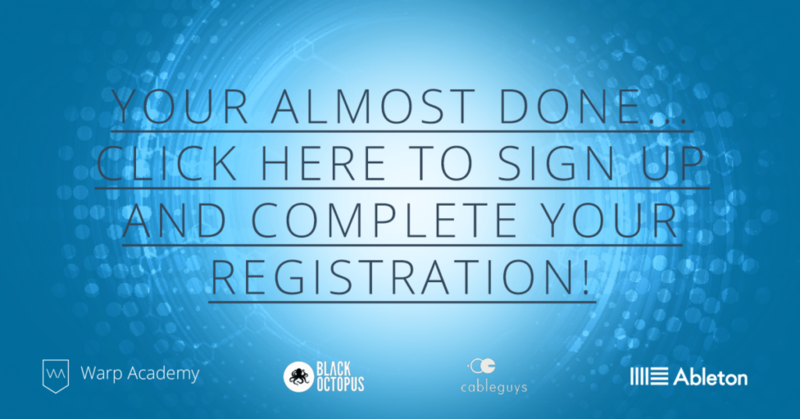 Drum and effects samples will be provided during the Challenge from Black Octopus Sound. Even though the rules say you cannot tweak or change the filters for Massive and Serum in the contest on patches, are we allowed to switch them off to create our own filters through Ableton’s stock effects? Yes. You can use any Audio Effects you want to process the synths. 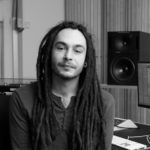 In terms of mastering and mixing are we allowed to use 3rd party vsts? Absolutely. You can use any third party or native Audio Effects or MIDI Effects. Can I use third-party plugins to process sounds? Like reverbs or anything else? Yes. 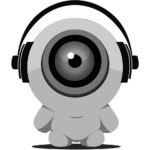 You can use any Audio Effects you want to process the synths and samples, including any third party or native Audio Effects or MIDI Effects. I am allowed resample the synth sounds and samples? Creativity & innovation in your use of the samples, patches and tools given. Community involvement in our private Facebook group. A veteran musician, dj, producer, mastering engineer, and music educator, Steve carries a reputation for being a global audio sensation. His career has been ultra bright with record releases on some of dance musics most well known labels, as well as mastering duties for some of the worlds most beloved acts. With over 11 years of experience under his belt, you can expect nothing but a huge, punchy, clean, heavy hitting sound. Slade Templeton is a man who needs no introduction. At the age of 28 he already has over 10 years of experience as an Audio Engineer and touring musician. He has performed in over 40 countries as the headline act with his electronic dance music duo “Defunct!”. Not only is he consistently in the top 100 charts, but he has also engineered for many of dance musics globally recognized names. Slade has worked as Mixing Engineer, Mastering Engineer, or Producer for well over 1000 songs on all mediums (CD, Vinyl, Digital platforms). His music has also entered millions of ears through TV and movies. Being on both sides of the studio glass has its perks. Slade knows the studio process from front to back; from the creation of the song to the final product hitting the shelves. 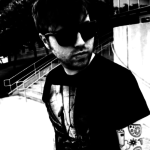 Slade is mixing/mastering/recording engineer and record producer at Influx Studios in Bern, Switzerland.